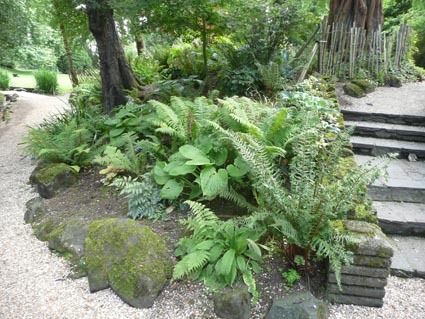 This is one of a series of short articles about ferns in the Belfast Botanic Gardens, compiled by members of the Friends Group. Native and other hardy ferns. If you exclude aquatic ferns and a few very rare species, there are only about 19 fern species native to the north of Ireland. There are many more species cultivated in Ireland from other temperate regions of the world such as New Zealand and Chile. 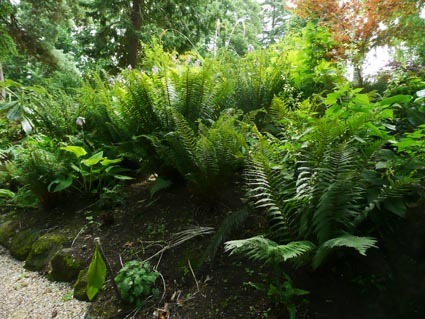 In addition to these there over 100 cultivated varieties of our native ferns. 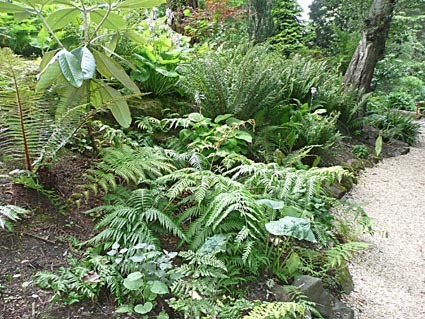 The RHS Plant Finder (2016) which lists only species and varieties that are both distinct and also commercially available, lists 45 varieties of the Hard Shield Fern (Polystichum setiferum), 13 varieties of the Hart's Tongue Fern (Asplenium scolopendrium), and 17 varieties of the Male Fern ( Dryopteris filix-mas). Some examples of these are shown below.